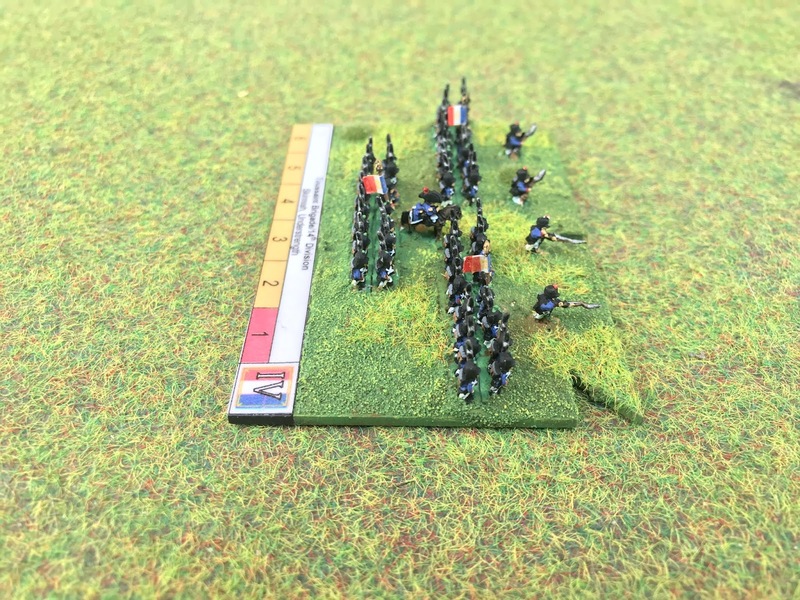 Iv Corps of Napoleon's Army is almost complete with the 2nd Brigade of the 14th Division, which was commanded by Général de Brigade Baron Jean-Francois Toussaint. This had the battalions of the 44th and 50th Regiments of Line. 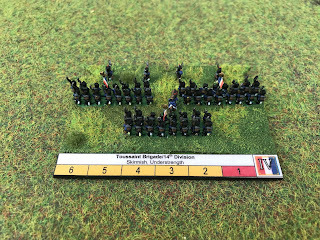 This unit is understrength, which is why I have only put three battalions on the base in order to help us remember during a game.At Ligny, this brigade was with the rest of IV Corps opposite the village of Tongrinelle and skirmished with Prussian troops. 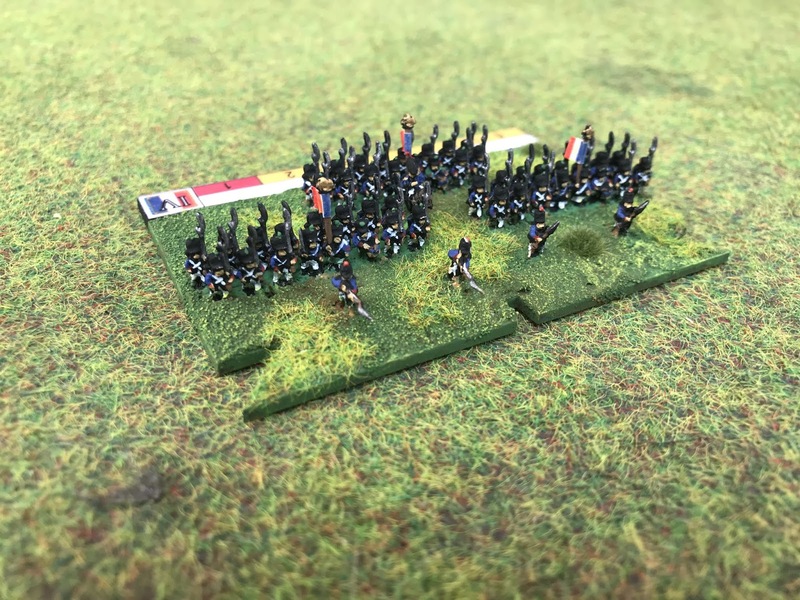 At Wavre, the brigade was part of the aborted attack on the village late in the day when Hulot was wounded and ordered to halt the advance. 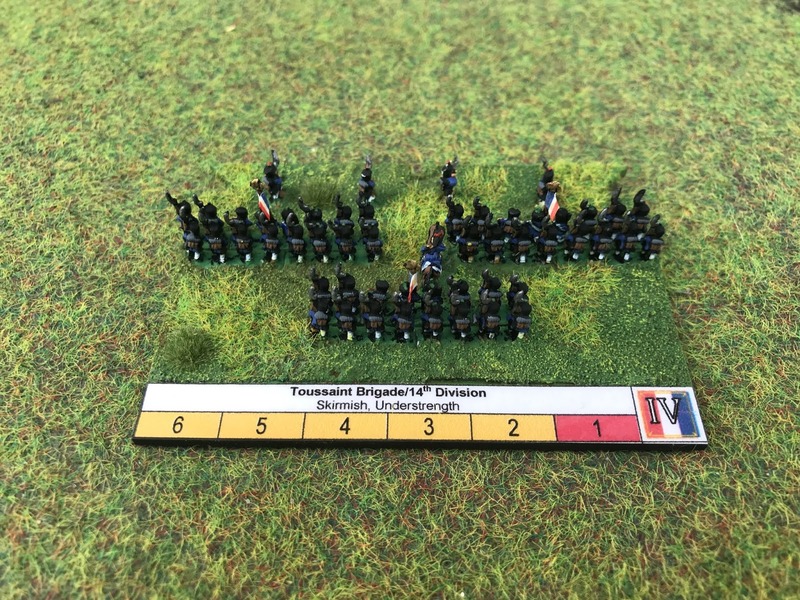 This is the last infantry brigade I need for IV Corps, so all there is left to do is the cavalry and that is another French Corps complete! These are lovely! Going to have to go and get caught up on your posts, now. 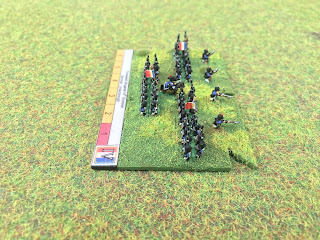 Cheers buddy, if you click on the tabs for '6mm' you should be able to find all the Napoleonic stuff! Glad to see the end is nearly in sight. Can't wait to see all of your kit in action, Joy of 6 maybe?